As summer winds down and the cool days of fall and winter approach, I've decided to share with you all tutorials from both me and the internet to try. I love crafts and tutorials that revamp old items that I may already have. 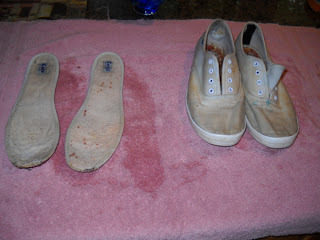 In this case, I had a pair of very, very worn, dirty and old white Keds sneakers that I was going to throw out. In a last chance effort, I decided to dye them. I had recently been to the library and was looking through craft books and found one on natural dyes. One possibility was cranberries (or in my case, cranberry juice concentrate). I happened to be wearing my dirty, beat up shoes as I was reading and decided to give it a try. I was largely inspired by this tutorial by sweet verbena for tea-stained shoes. Definitely go check her tutorial out. 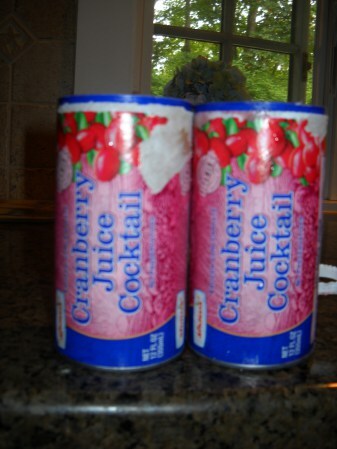 2. frozen cranberry juice concentrate - however many cans it takes to fill up the pot that you are going to put your shoes in. (the frozen juice is not diluted like the stuff you find in the juice aisle). 4. 1 pint of water for every can of cranberry juice. I had also purchased new laces at Urban Outfitters to replace my old ones. Step 1: Find your shoes. 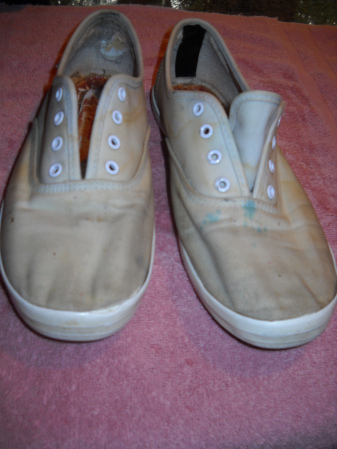 These are my terribly old, gross shoes that used to be white. I believe Payless has white canvas shoes for $15. (These are after I washed them, by the way. Notice the blue from a tie-dye incident and the back held together by electric tape. I have no idea why I've kept them this long). Step 2: Ready your supplies. I took my frozen cranberry juice concentrate and emptied them into a pan on the stove. 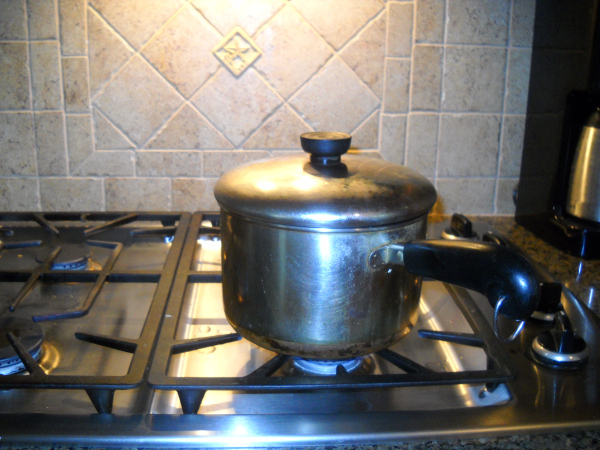 I set the stove to simmer so the juice would melt and added 1 pint of water per can. I also added a tablespoon of vinegar. I would suggest buying more than two cans of the frozen juice. 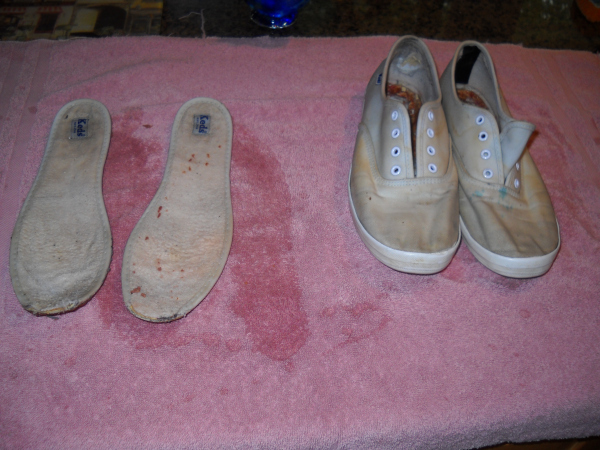 the resulting dye did not completely cover the shoes so I had to keep rotating them. A big pan and a lot of dye will allow for your shoes to be completely submerged. 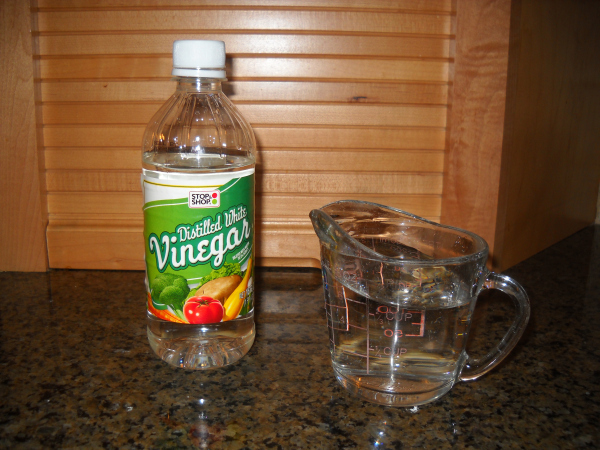 (I'm not sure the pros/cons of red/white vinegar. Red probably would have worked well in this case considering the color dye I was using). Step 3: Ready your shoes. While your juice is melting, give your shoes a good scrub and remove the soles and laces. Often after being soaked the soles are easier to remove. Step 4: Stuff your shoes in the pot. I don't have a picture of my shoes crammed into my too-small pot, but the wear and tear they've experienced allowed them to be very flexible. I will say that the splotchy end appearance may be in part due to my constant rotating during the dying. I left them on the stove for about half an hour. Step 5: Remove and rinse. Remove your shoes (carefully! They might be hot) and run them under the faucet until the water runs clear. Step 6: Lay to dry. Stick your shoes and the removed soles out in the sun or wherever to dry. 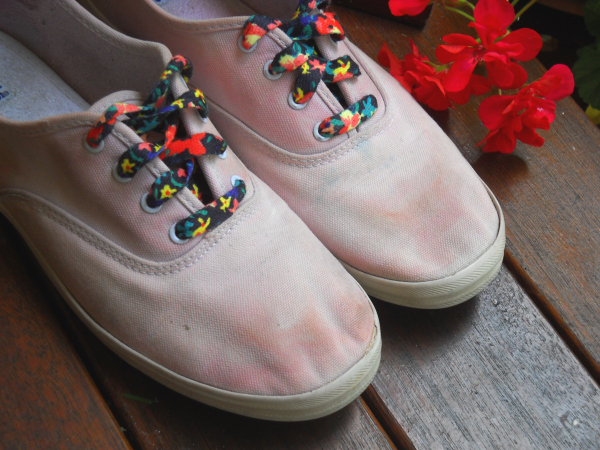 Step 7: Wear your cranberry-dyed shoes proud! Wear did you get the laces from?? I picked them up at Urban Outfitters about a year and a half ago - they probably still have them!